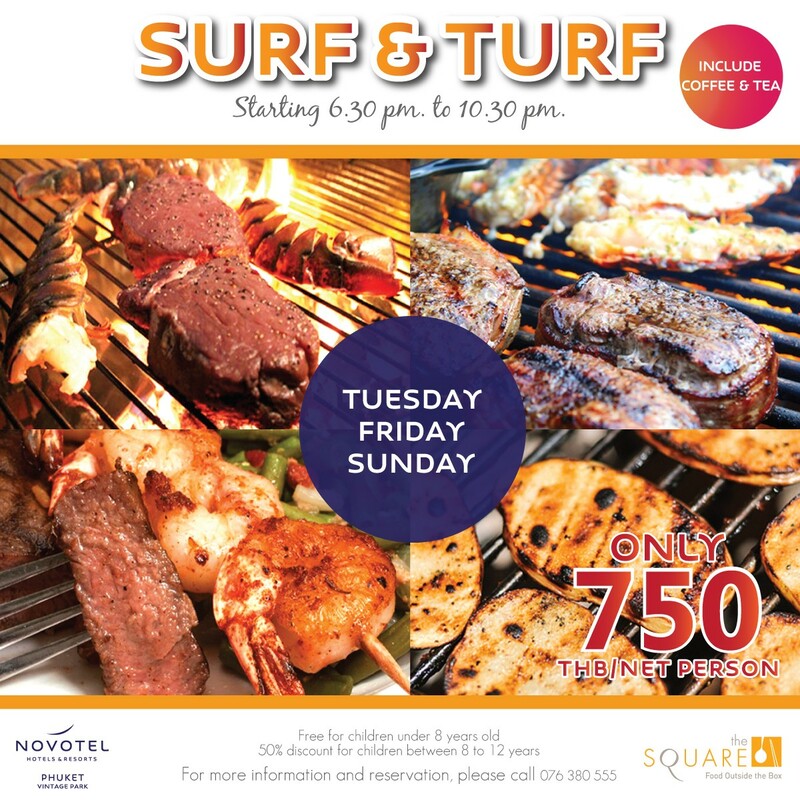 Running every Tuesday, Friday and Sunday from 6.30 pm, the Surf n Turf buffet at the Square restaurant. 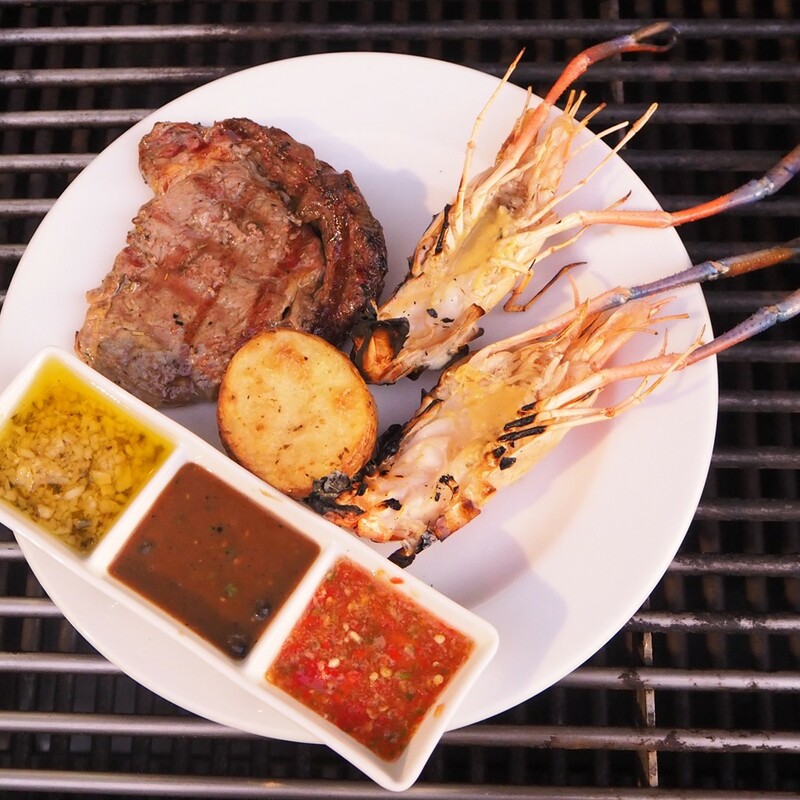 We serve meat and seafood by having them freshly cooked in the open kitchen. 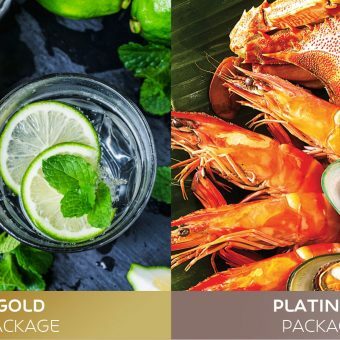 Only price 750 THB net per person, do not miss this all-you-can-eat seafood buffet! Free of charge for children under 8 years old. 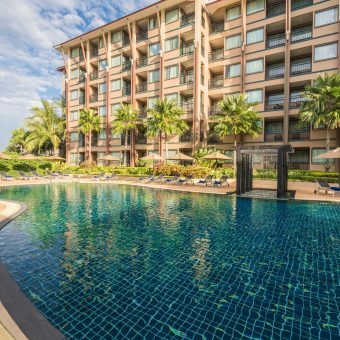 50% discount for children age of 8 – 12 years old. Parking is provided.